So you have secured your pre-order of PS3 game Hyperdimension Neptunia Mk-2 limited edition pack? Yep, the game will be released in the coming weeks, and naturally, a few lucky folks have already gotten their hand on the production sample. 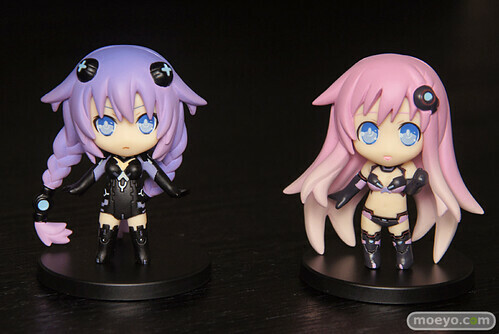 Moeyo is one of those lucky one, and they have posted a gallery of pics on the Nendoroid Petit Purple Heart and Purple Sister which come bundled with the limited edition of this game. This entry was posted in News and tagged nendoroid, nepgear, neptune, neptunia, petit, puchi.